This episode was so wonderful. I love this storyline of built up issues exploding in a disastrous and unfortunate way which leads to the weak rising up against the system. In this case, it is the associate judges that will have to rise up against the senior judges in a case that everyone knows is wrong. Everyone is on a particular associate judges side but no one is standing up for her except Chaohrum. However, Chaohrum’s decision to make a stand also makes Bahrun take a stand. In his case, he wants to use the law to their advantage. I cannot wait for the next episode because it looks like the head Judge, HJ, wants to groom Bahrum to be another Head Judge one day, but he won’t make it there if BR spearheads situations like this which will turn everyone against him. But on the flip side, righteous judges should be the ones that address issues like this. A woman yells that you can be pretty, work out, please! Two women pass out pamphlets and tell everyone coming out of the subway to work out some more, work out, please! BR comes out of the subway and ignores the women. But then COR spots him so he starts to talk to the older women and asks for a pamphlet. They are hesitant to give it to him but they do. He looks at it, it is a woman underwear store pamphlet, lol. Maybe the other woman was a workout pamphlet but this woman’s is woman’s undergarments. COR comes out of the subway and takes a pamphlet she tells them that she uses them often. They look uncomfortable but they are actually comfortable. She laughs a bit with the women which makes a lot more women come up to the ajummas. BR thinks that she is friendly and can survive everywhere like a cockroach. He can’t take it. BR goes to work and then sees COR talking and laughing happily with the custodians. She tells him to join them but he says he is busy. He goes to the bathroom and jumps when he sees BW washing his hair in the sink. He tells him to work instead of visiting them in their office. But BW says he needs to come to their office and make it fun, otherwise, it would be like torture to sit there for COR. BR takes BW’s his towel and leaves. In the office, COR gets off the phone with one of her friends and then asks BR if he is going to go to a case study that COR’s eunnie chief is going to give. COR wants a lot of people to go there so she tries to recruit BR. BR asks her how she knows that judge, she says she mad a female judge association. They should talk and stuff, most of their conversations are about talking behind their chiefs. BR says he does not like to be around too many people. COR laughs and says it was a joke, but BR says the study thing is a waste of time, it is better to study by himself. COR knows he is an individualist, but as an associate assistant, he should go with her right? She manages to pull him along. They walk to the elevator where a lot of people are standing. It looks like all these people are judges. They all have numbers above their head as well which is their class of when they went to their training institute. So COR is 44th class and BR is the 44th class at this Judicial Research and Training Institute. Everyone has their class above their heads. This is different from college or law school class. The oldest is from the 22nd class so everyone wants him to go into the elevator first. But the oldest wants the women to go into the elevator first. It is West vs East politeness. COR looks at them and smiles, then she goes up to them and says if no one is riding it then she will ride it. She walks in. BR does not know what to do. He calls her an alien and stampers back and forth as he wonders if he should go inside the elevator or not. Inside the elevator, COR is just happy as a clam as she stands and hums next to the sunbae. When the elevator stops, they have the exact same problem in getting out. COR wants to get out but BR blocks her so they are the last ones to leave. COR asks him why he blocked her but BR just tells her that they should not fight with unnecessary things. And walks to the meeting. GD is at the head of the meeting, he says all the polite things of not knowing that much about it but it is his honor. The other guy also says that he is not knowledgeable in front of all these chiefs and judges and wonders if he will make a mistake or not. Everyone has to say something like this. BR is so annoyed and bored so he rolls his paper up and taps his foot. He says it is not a discussion, they are just reading. BW whisper-calls BR a crazy guy and COR motions for him to stop it. In the end, the questions are open, BR holds his hand up accidentally and has to stand. He stands and says that what they said about rent is not applicable to Korea because they have Jonsae. The other guy cuts him off and says it was just like his opinion. Just in case the presentation got too long, he was focusing on that thing, but they have a good hubae that has good points. But it looks like this was an awkward moment. Afterward, they eat and toast. COR tells him that she is sorry, she knows he does not like this kind of thing and is only there because of her, but what he said in the seminar was good. BW thinks they need to stay a bit and be noticed. COR thinks they are going a little bit too far, why are they this polite to each other? One of the judges toast and says that the reason man exists is because of women, haha. But no one else laughs. I think this is the same guy who spoke earlier. COR’s eunnie toasts to COR. She thinks they are bothering her because she went on her honeymoon. it looks like Her chief bothers her a lot because she went on a honeymoon and didn’t do any work while she was on the honeymoon. COR thinks he is either a workaholic or is just eager to get promoted. She thinks her eunnie looks very bad. 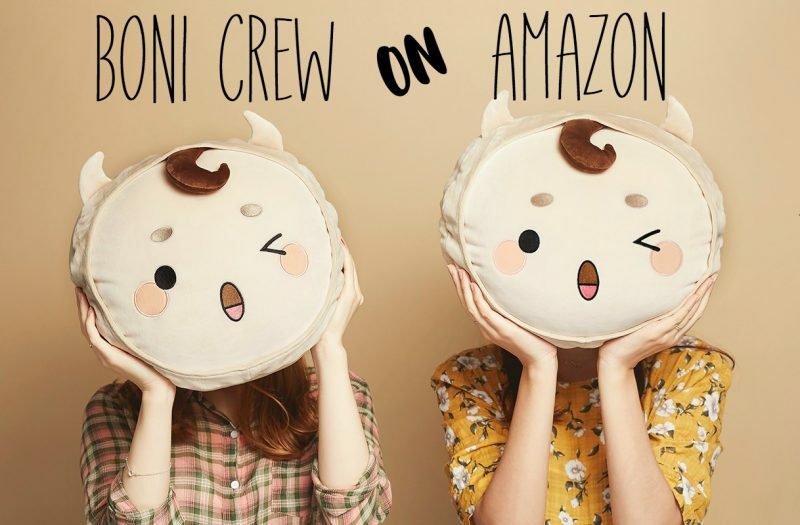 She works at night and on the weekend, how does she survive? Eunnie says she is fine, she is not the only one. Later on, DY reminds BR that he has tea time. Did you forget? This is a tea time where the presiding judge calls the other judges for a tea meeting. BR looks like he just wants to die. DY tells him, if he has nothing to talk about or present, then suggest to make the directory picture bigger. She walks off with that hint. Cut to the very awkward tea meeting. Everyone is sitting at attention around the thin long table. The presiding Judge, PJ, is at the head of the table and all the other judges are around the long side. No one is drinking their tea. PJ asks one of them if he has any good ideas. The man says they should advertise the court to the citizens more. This doesn’t get much of a good response from PJ. Another young judge suggests making the directory picture bigger, which is what DY told BR to say. He was scooped! But PJ is just quiet, it looks like that wasn’t much of a good idea? Another person said he was thinking about that as well, the picture is too small. PJ does not say anything either. Finally the clock rings, one hour passed. They are saved. BR goes back to his desk and is greeted by a message. He has to check out law magazines. 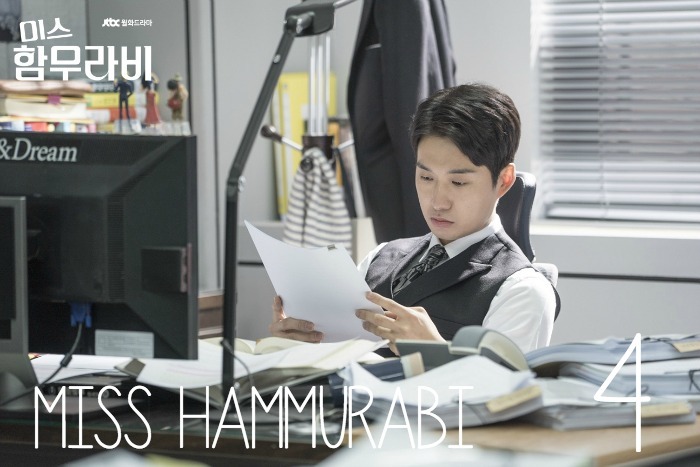 He goes to the law magazines and sees an article about judge GC who is giving COR’s eunnie a hard time. It looks like he put out an article that basically stole BR’s idea. BW tells them that GC and SS went to the training institute in the same class, but what they do is completely opposite. BR wonders what GC does, what way does he move. BW explains that GC goes after whatever way makes him a success. He was the smartest kid from his hometown, but he failed his college test once and was discouraged. He was discouraged again because he was not accepted to Seoul University at first try, that is why he always thinks about it and works hard to be successful. So he tortures his associate judges and only wants to be successful by himself. BR asks about SS. He never cares about promotion and does what he wants to, even in front of PJ. Cut to SS at a meeting of judges. It looks like it is s drinking meeting. SS takes a drink of his beer. He tells them that they are too long at talking. He will die just waiting to drink his beer. They all look at him like he lost his ever loving mind. SS says he is sorry, but that guy says “last” and keeps talking, he says “last last last” and keeps on talking! Everyone just sighs. BW tells them that SS chooses to be the scariest judge. People on the outside don’t know the difference between judges. But the presiding judge has a government car with a driver, it is different. BR you are in Korea, if you get old and go to a class reunion and see someone driving their own car or someone driving a car with a driver will be different. BR asks him if he cares about how people look at him so he works hard? BW basically says no and sits back at his desk. COR is more concerned with GC stealing BR’s idea. If they ignore it this time then he will just do it again. Sunbaes who steal hubaes ideas should not get promoted. We need to make this a big deal in advance, if you don’t do it then I will do it. BR says he will do it, he will go to the head judges office. COR mutters that she worried about her eunnie that works under the head judge, she looks like she is having a hard time. Tell the judge about eunnie as well. Cut to her eunnie working very hard. She has piled and piles of paperwork around her. Another person comes in and tries to give her something to eat. But eunnie says she isn’t feeling well. She is actually pregnant but does not want to tell her boss. Mini flashback of GC telling her that he usually does not accept female judges because it is difficult to do this job with a woman. She tells him that he does not have to be concerned about her, she works hard and is there because she won over all the men. He tells her fine, but just in case, don’t date or get married, don’t think about those things, just think about work. She is all like, huh? Are you telling me not to get married? He says all the things about women getting engaged and married and honeymoon and pregnancy and maternity leave. We are already busy, We won’t be able to survive if you leave. You can date and get married if you go to an easier department. Also, we make our agreements on Sunday so come to work on the weekend. Cut to GC telling SS that he should work less. Not that smart guys like him can’t keep up. SS just laughs and says he has a lot of cases that he hasn’t judged yet, over 400. The guy leaves and the other judge at the table tsks at GC. He tells SS not to trust GC, he is famous for exaggerating. He came here just to see how much you are doing. He wanted to have less than 300 so he works MTWThFFF, so he works all the time. We have an investigation from the higher court about how they work. SS nods and says he works so hard. Cut to GC’s court case. He tells the plaintiff that they need to have an agreement. He ignores his suggestion and wants to get the judgment. You know the law, so you should persuade your client, that is all you can do. A man in the back talks to someone else and says that this judge is threatening them, why is he so obsessed with an agreement? The man says the higher court wants the judges to have more agreements. So he is so eager to be in first place for agreements. Eunnie gets home and talks to her husband about how her job is so hard. She plops on the couch and he makes her some tea. But then she gets a call right away from her boss. He is looking at her office and says that she has gone home already? Where is she? All the other offices are bright, why are you not there? He is actually at home and looking at the building from his house. He tells her that she needs to work hard, work hard! But he is actually out drinking with other judges. he steps away from those judges and remembers joke lines on the phone and then runs back to the other judges and tries to make jokes with them. he tells them to hurry and go to the supreme court fast and lead them. GD tells him that he is good at bragging but he says he is not bragging but if he made a mistake then he is sorry. HJ says that it is good being friendly and social. When you are in a manager position, you will have to deal with people also. Why didn’t you do any administration work? GD says you have to look at someone for a long long time and you will know their potential. GC says he is more like wild grass, he likes to go out and do work. BR rides his bike to work and fold it up to bring inside. DY asks if he is using his own vehicle now instead of the subway? BR says it is Friday and he brought his own vehicle with him. She tells him it is cute….his bicycle. Then she puts her earphones back in. In his office, BW talks to BR and COR about BR’s bicycle. COR asks if the Han river walking path is good or not? BR tells her that they can go together if they have time on the weekend. BW looks at him with wide eyes. COR says it sounds good. BR also invites BW but BW thinks he hesitated to invite him….hmm…..maybe I should leave. Outside, DY sees one of the judges and wants to carry something for her. She is pregnant and #51 so he will carry it to that court for her. He happily asks her when the due date is. She says it is one month away. DY listens to their conversations. The other women in the coffee room say that BW is cute right? He is so friendly. Last time he carried a basket for the cleaning lady, he is a super cool good guy. You should catch him. If I wasn’t married then I would catch him. DY smiles as she secretly listens to the women talk about BW. Inside the office, BR looks at the Han River map and smiles like a baby. COR asks him if he is doing anything. he hops and says he doesn’t, he will go and visit the head judge right now. So he gets up to leave and goes to HJ’s office for tea. HJ asks him if he is doing okay in SS’s office. BR tells him that he has something to tell him about the conference. He can say that it was nothing, but it does bother him so he wants to make it an issue so it doesn’t happen again. HJ asks him if he is a rabbit or a turtle. BR asks what that means. HJ says the rabbit is used to run everywhere, he does not even have to try hard. It is difficult to understand how turtles feel who always have to see the back of people who run in front of them. You passed the test while you were in school and you were #1 and you were famous for asking sharp questions to the professor which gave them a hard time. You don’t care about others and just ask proper questions. it is because you never had an inferiority complex. Right is right and wrong is wrong. You don’t’ understand someone with an inferiority complex. BR says it is not like that. HJ tells him that he knows GC is not strong enough, he tries so hard to get recognition, but to a clear-cut elite like you, it won’t make any sense. In our field, we have a lot of outstanding elites like you. A turtle-like person like GC, is nervous when he tries to get ahead (because he is surrounded by genius’). You are young and bright so you have a lot of chances to be a star. Can you just give a chance to someone like GC to get recognized? We need those people also, not genius’ but people who work hard their entire life with their motivation for success. They should have success. BR – But Head judge, this is cheating. HJ puts his tea on the saucer. HJ – In our society, personal attachment and seniority govern. You can be right, but if you make an issue about it to GC, who is very sunbae to you, you will get hurt also. Your reputation is important. if you are recognized as cold-hearted or merciless, then you will have trouble surviving in this field. What kind of human is most important? People living with other people around, sometimes righteousness is not important. Your feeling of tightness will pass by overtime. BR listened to all of this, but he does not look like he likes it. COR does not think it makes sense that her boss checks to see if her office light is on or off. That is an obsession. The first trimester is important. If you work this hard then something will happen. You don’t’ sleep much at all. Eunnies says her boss will pass out if she says that. COR tells her that she will report this if eunnie does not. But Eunnie tells her not to do that. The other associate judge works hard and the chief works hard. She feels guilty because she is the only one that drags them. But COR thinks things should not just go this way. HJ tells BR something he worries about also. He gives him something to look at. these are all videos of COR. BR asks who posted it. HJ says that someone posted the train station incident and another incident. The military worker poster it online. They caught him and made sure that it didn’t’ happen at all. But look at the comments. BR looks at the comments. 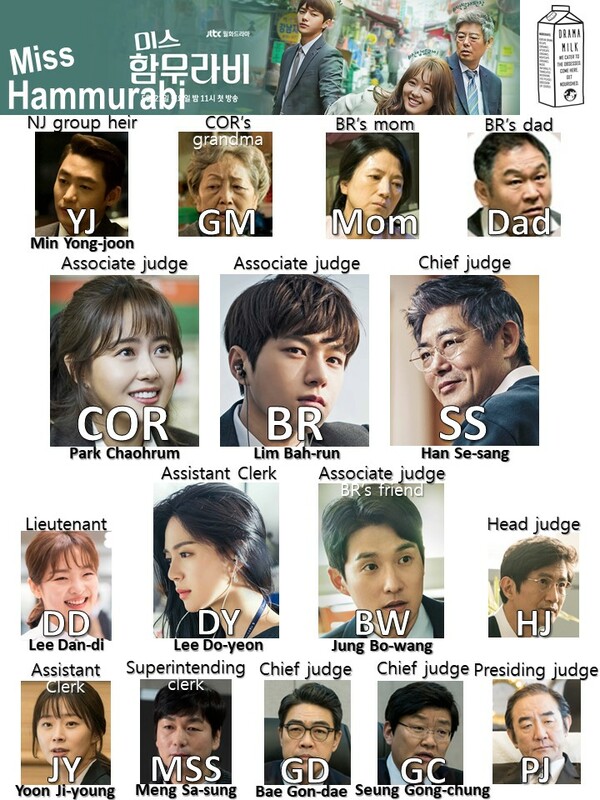 All the comments talk about the legs on the judge and they have the hashtag #MissHammurabi. #eyetoeye #teethtoteeth . HJ tells him that she is famous on the internet, she even has a nickname. He understands that she wants to help and is young. But the judge’s job is to work in the courtroom, not the street. It is problematic if people talk about judges for whatever reason. Judges need to be careful and not think about each other’s fame. Otherwise, people will not trust us. it is difficult to build trust and easy to lose. She is outstanding (in a bad way). He also talks about the training center, all the professors said different things about her. At the same time, COR talks to all the female judges to get them all on eunnies side. HJ – Some professors said she had a sense of duty and was righteous, but others said she was too emotional. It also had a political issue as a trainee. it was controversial to appoint her as a judge. Someone who is careful and thoughtful like you should have a responsibility to guide her well. BR says she is new so she might inexperience, but it is because it is her first time. She is sympathetic toward disadvantaged people and has a sense of duty. She should not be evaluated like that. HJ tells her that the halmoni that protested at the east gate had a big law firm that took her case and asked for a retrial. That is not normal, right? I heard that COR connected them. HJ – COR found the reason that halmoni can ask for a retrial. You also don’t know it. BR – Well, COR wanted to help her. HJ – As a judge, our rule is that we will not matter in other peoples legal issues and to not do anything to affect other peoples legal judgment. Whatever her motive, we should not do anything to bring suspicion. This can be a case for a disciplinary action. I am thinking about it. Please understand what I say. BR leaves the meeting as if all the wind was taken from him. Two men start to talk about Miss Hammurabi in the bathroom. They say that COR stood out in training school and now she is famous all around Korea. They talk back and forth about how she has another motive, maybe she wants to do politics. She will be a nice accessory next to a speaker for the party. But they also think she is very smart. She won’t be promoted and will have a hard time. The restroom flushes and BW walks out. The men are nervous. He pretends like he slipped and hits bot the men upside the head while they are peeing. he tells them that they pee for a long time, so take care of your business. The toilet flushes again. The men are nervous again. BR comes out. He also pretends like he trips and hits the two men. He says he told the person to clean well, are you okay? he hits them several more times and leaves. Then he stares at them again to see if they want to retaliate. DW and BR fist bump each other in the hallway as a cute song plays. BR gets back to his office. COR is immediately interested in what the head judge said. She thinks stealing someone’s idea is a crime and she can bring it up if he can’t. BR thinks back to HJ telling him that COR is too emotional. BR tells COR that he will take care of it, she shouldn’t’ be too angry about it. BR also isn’t happy that GC copied his idea. COR says that smart guys are different, so you don’t want to be a part of those people that are trying to survive? BR tells her not to talk like that. For citizens, which judge is better, the one that works hard to get promoted or the one that does not work hard and gets promoted. COR asks why those at the two groups. Righteousness and reward and sense of duty….am I too naive if I talk about those things? BR tells her that it is naive because this world does not evaluate those things. She tells him that they can stop talking about it. The bigger issue is Judge Hong (eunnie) because of GC’s greediness for promotion, he is torturing his associate judges inhumanely. BR thinks everyone is busy in this building. COR almost lets it slip that eunnie is pregnant but just says that her condition is not good. They keep arguing about this topic. COR says she will collect signatures if this does not change. BR does not want her to do that and tells her that this is a group movement. COR asks if that is wrong? You are an individualist, you are smart and strong. But weak people cannot protect themselves unless they support each other. BR thinks leading a group movement is serious, she should be careful. COR says she will be careful, but she also knows that BR does not care about what her eunnie is suffering because he does not care about other people. He thinks in his head that he does not want to care about others. he also thinks about HJ telling him that COR is close to a disciplinary action. he hangs his head at the weight of it all. COR keeps telling him that she can’t do anything. But BR just yells at her to listen to him, she will get hurt if she does this. She needs to survive first and to not be too hasty. COR is all choked up and tells him that she can’t just do nothing when the person next to her is sinking underwater. She can’t just watch that happen. Later, they both walk out together. A man talks to her, its YJ the NJ groups heir. She told him that she is not going but he tells her that it would be canceled if she does not come. he introduces himself to BR and gives him his card as the governing president of the MJ Group. BR is all like, The NJ Group? YJ says yes his family and COR’s family have known each other since they were little. YJ tells COR that she does not look happy, would she like to drive his car as a stress reliever? COR takes the keys but does not look comfortable about it. But she goes off with him anyway and drives his car. BR looks pretty sad as he watches them leave. then he decides to take a taxi. The driver asks him if that is a wheelchair, he says it is something similar. While driving, COR thinks back to BR yelling at her about surviving first and not being in such a hurry. YJ plays a song to cheer her up (its the song everyone wants). In the taxi, BR tells the driver that he worked late. the driver is all like, huh? A Gongwon is working late? I thought gongwons go home on time. The driver might think that BR is the lowest ranked person in the building, but he is actually one of the highest. BR doesn’t correct him but he wishes Korean citizens know that Gongwon also works late. In the other car, we see COR’s heart as she stops to let a young student cross the street and then blocks the road on the other side so she will get across safely. Her friend YJ smiles at her as she does this. In the taxi, the driver talks about how he drives many hours a day just to make enough money to pay the company. His son prepares to be a gongwon, the lowest gongwon and sleeps in a tiny room. His daughter got a computer and works in a tiny IT company. She lives in the building with a fold out bed. He tells BR not to complain. BR apologizes and says he won’t complain. Eunnie gets yelled at by her boss. Her work is all redlined. he asks her if she thinks he will approve this kind of report? People look at the chiefs name, not the associate judges’ name, you are ruining my name! Eunnie apologizes and takes the paperwork to right again. Then she goes to the rooftop and thinks she just has to wait a little bit, she won’t have to go to her chiefs room anymore and the pain will end. It looks like she thinks seriously about jumping. But then COR calls her name and goes to her. She asks if her chief yelled at her again. Would you like to go somewhere with me and take a half day off? Eunnie cries and asks COR what she should do. She passes out in her arms and starts bleeding as if she is having a miscarriage. The ambulance shows up. COR rides in the ambulance with her and stays with her at the hospital. Eunnie loses the baby and cries in pain over the loss as her husband sits next to her. COR goes to work on a mission. She bursts into her office and grabs something. BR tells her that she heard what happened, is she okay? But COR does not respond and just turns to walk out. But then SS comes in and tells her to give him whatever she is holding. SS opens it up, it is a petition for disciplinary action against GC for not honoring human rights. SS yells at her, what is she doing? Is she getting signatures to fire a chief judge? he rips up the paperwork and throws it to the ground. then he yells at her, how come she is making a big deal like this as a first-time judge! BR comes up to him and lets him know that Judge Hong had a miscarriage. This softens SS, but he still does not think this is the right way. COR goes back to her desk and prints another petition. She tells him to shred it again and presents it to him, but she also says that she will not give up. SS tells her, if you go out of this room with this petition, then I will take it that you do not think I am your chief anymore. She bows to him and leaves with the petition. She goes up to several men to sign, but no one wants to sign. One person finally signs though. Later, we see GC meeting with HJ. he stutters and says that she never told him before. If she told him….~. hen we see GC talking frantically on his phone about Judge Hong and that he would consider her if she told him. DG meets with him and tells him that taking on more cases does not mean that he will get promoted. The important thing in their organization is not making any trouble. GC begs for him to help him. GC goes to SS and begs for his help as well. he apologizes for making him worry and says it is all his fault. SS asks why this happened. GC says she is probably a weak person, he never imagined this. All the judges worked this hard. SS tells him that she was pregnant but he says that he did not know, she never told him. She would have considered her. Female judges are different. They don’t have responsibility or a sense of duty. They are problematic and don’t think about sacrifice for organization or country. SS asked him if he went there. (we don’t know where). SS says he already went to all other chiefs offices, did he go to his associate! Did you meet with your associate who had the miscarriage! You associate judge who will have blood tears after losing a baby, did you go to your associate judge? BR goes to meet with another person who he seems to be friendly with. It looks like they used to work together. This judge asks him if the civil court is a happier place than the crime department. BR asks him if he heard about what happened. The judge says he heard, it is crazy. When he was young, they worked so hard for people to be treated as humans but he thought he worked harder to be a part of the judicial system and inside their system, this kind of thing still happens. he feels shamed. BR says that COR is raising an issue about it. the judge heard about it and calls her brave. People like her change the world. BR says he wonders if she is good enough for this issue and he also is not sure if her way is correct. GC is also telling everyone that he is honest. BR thinks someone like this judge should step out. But the judge is uncomfortable and does not think it would be good because of the petition to fire his colleague. BR tells him that the head judge is not doing anything, someone among the chiefs should move first, then there will be a solution. But the judge says he is old and has no power. The young people should do it, he will support him in the background. BR thanks him for his time and leaves. The judge looks at bit reluctant as if he wants to help he calls the head judge and tells him that BR came by. BR goes to the rooftop and thinks about his life. He got a 97 on a test when someone else got the perfect score. he is chided for it. BR raises an issue about it to his teacher. It looks like the person who got the high score is the son of an influential person. The teacher corrects BR’s paper. BR says the answer was wrong, but you only changed my paper? That does not sound right. he wants the other person’s score cut because it is not right. The teacher tells him that he is too greedy. he needs to think about others because they live together. BR thinks about GC stealing his stuff and HJ telling him not to do anything. He also thinks about SS telling COR that she is not looking at him as her chief and the other guy telling him that he is old with no power. Inside, COR organizes all the signatures on the petition and is about to walk out again. But BR comes in. They have a standstill. He tells her that her way is wrong, judges have the most power when they follow the law. If 1/5th of people have a petition, then the supreme court should open the case. If you want to raise an issue then we need to do it right. I will send a letter to everyone. HJ sits in his desk among all his teas. he is about to take a sip of one, but then he gets an email. As you know, sexual discrimination and authoritarian behavior in organizations are what we need to think about seriously as a society. As a judicial organization who protects the rights of the people with the law, we need to be stricter with ourselves. HJ sits back in his chair as he reads the letter. SS – These obsessive people bite people when they are in the corner! COR – So you want to fight? Okay, let’s all fight. Loved this ep so much! Me too! It was so good! I love how everyone had problems, no one was 100% right and yet everyones problems were completely understood. For instance, COR didn’t confront the bad boss about what he did and she made her eunnie’s life more difficult by making it an even huger issue than it already was. that just didn’t sit well with some of the other judges considering their entire adult lives is about hearing both sides of the story. Everyone thought it was a tough situation and yet no one wanted to step forward, but in the end a lot of judges ended up coming forward. I also really love that all the “outsider” head judges stuck together and showed up to the meeting. I want to see more of them! Okay this comment might be spoilerly because I added a lot of Episode 5 into it!